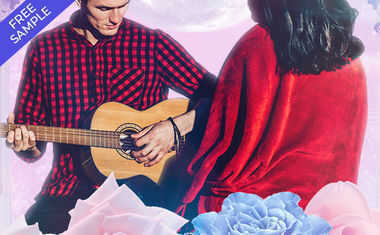 Love planet Venus enters Gemini on Tuesday, and until June 17, matters of the heart will have a decidedly cerebral flavor. What will turn you on now is someone who really listens to you. A man or woman with whom you can share lighthearted conversation with is what will make your heart race now. By the same token, the biggest turn off will be someone who doesn't return your calls or takes forever to text you back. Love will be tricky on Tuesday, because Venus will immediately oppose Mars, currently traveling retrograde. Talk about star crossed lovers! You and your sweetheart might have a genuine timing issue when getting together. Or, you'll send each other mixed signals leading to an epic fail in the bedroom. Get to the bottom of your tricky love situations with a Relationship Analysis Tarot reading now. On Thursday, Jupiter squares off with Saturn, making you too idealistic about your goals without having the foundation or plan to back yourself up with. You can't snap your fingers on this day and magically make a dream come true. No, you'll need a plan! On Friday, Mars will retrograde into Scorpio. Intimate matters and joint financial decisions need to be addressed. A new strategy might be helpful -- one where you resolve to overcome your fear connected to one or both of these areas.